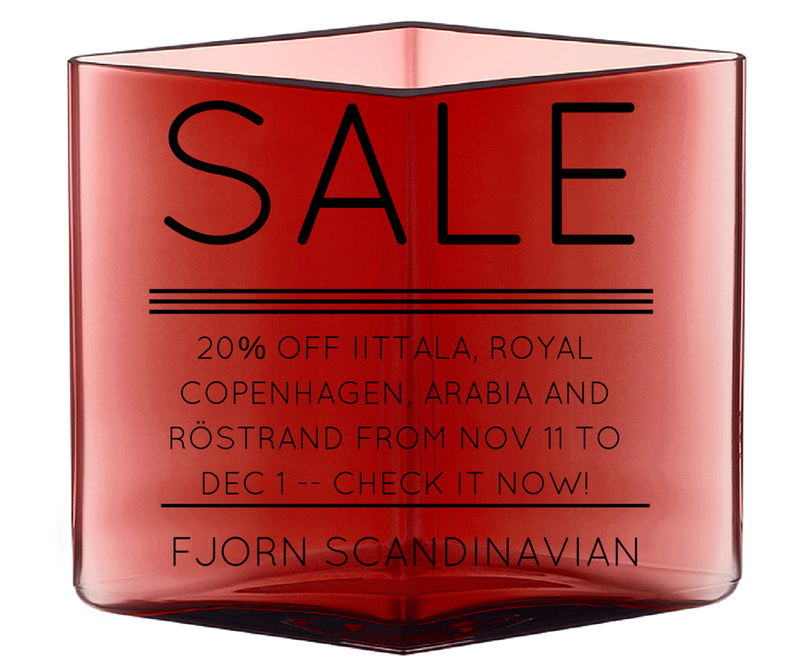 Fjorn Scandinavian: Kickstart Your Holiday Shopping with 20% Off! Kickstart Your Holiday Shopping with 20% Off! Join Fjorn for the sale event of the season! 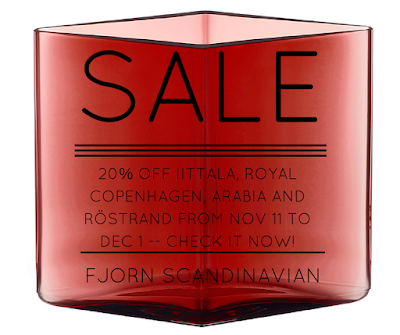 All items offered by Iittala, Arabia, Royal Copenhagen, and Röstrand are discounted by 20% -- no need for offer codes, all discounts will be applied automatically. Free shipping on all orders over $95. Grab some beautiful glassware from Iittala, or hand-painted vintage-design porcelain from Royal Copenhagen, Röstrand, and Arabia. Come and share in the joy of good design!